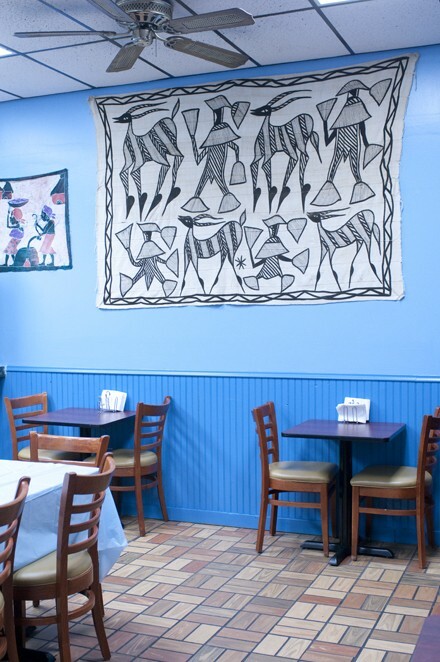 Howard Street, site of Badou Senegalese Cuisine, has seen some worthy African restaurants come and go over the last few years, including the late Cafe Senegal. But many African storefronts around town have proved resilient, sometimes surprisingly so. When Yassa African Restaurant first opened down in Chatham, back in 2005, owner Madieye Gueye felt forced to include Caribbean items on his menu in an effort to appeal to the neighbors: "We knew people would come in for jerk chicken, but then we would change their habits, open them up to the dishes of Senegal," he told former Reader reporter Tasneem Paghdiwala. In time, Yassa won people over—just a few years later it was featured on Check, Please! Other African restaurants have remained under the radar for the most part, among them a couple of rarities noted by Mike Sula earlier this year. One of the most intriguing is Uptown's Lake Langano, which serves qocho, an Ethiopian staple not only unique to Chicago but tough to find anywhere in the States. A flatbread ingeniously derived from the enset, aka false banana plant, it's chewier and heaver than injera, though similarly sour. At Lake Langano you can get it with kitfo, Ethiopian steak tartare, though do be sure to call ahead of time. Up in Rogers Park, Den Den, the city's only Eritrean restaurant, is still offering carafes of its house-made mes, honey wine, to go with its cuisine, which is similar to Ethiopian but with spaghetti. Ethiopian is probably the African cuisine most familiar to Americans; Ethiopian breakfast perhaps not so much, though it's offered daily at Rogers Park's Royal Coffee as well as at Edgewater's Abyssinia Restaurant. As for West African cuisine, notables include Uptown's Iyanze, from the owners of Bolat African Cuisine, and Palace Gate, the latter the city's only Ghanaian restaurant, where the heaping plates come accompanied with Ghanaian highlife.